Ten years is a long time in the summer festival business. Both in terms of challenges faced and having reason to celebrate, it’s a much longer time if your summer festival adheres to a fiercely homegrown and independently-minded manifesto. 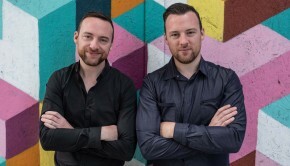 Returning for its tenth anniversary across May 31-June 2, Drogheda’s Vantastival is proof that, with the right marriage of ambition, hard work, knowledge and passion, success is possible. Placing community, curation, sustainability and affordability at the heart of their approach, the organisers are currently busy putting the final touches to this year’s outing. Ahead of that, we speak to festival co-director Louise Tangney about the evolution of the festival, how loyal relationships form the backbone of their ethos, what this year holds in store and more. This year marks your tenth anniversary. Congratulations. Many festivals have come and gone in that time, and new ones continue to crop up. What do you think continues to set Vantastival apart? I think there are a few reasons why Vantastival has gone the distance. There is a real sense of community involved in the festival, not just with the crew but also our regular festival goers. So many people have helped out over the years and there is a core group, including but not limited to the campervan club members, that we can depend on to buy tickets no matter what happens with the weather or what new festivals crop up as competitors. We recognise the names of the ticket-buyers as they come in. The patrons know our crew and the crew would know a lot of the patrons. There’s even some cross-over, with patrons often helping out if there is any issue over the weekend. We appreciate our patrons and they know that. We always listen to their feedback and suggestions, and we often go the extra mile to accommodate special requests from people. We have kept our ticket prices as low as possible and have held on to our BYOB policy, both of which mean Vantastival is definitely one of the most affordable festivals, but with that, we always have a fantastic lineup. And we have stayed relatively small, which people like. Even though there may be 5,000 people on site now, it still feels intimate. 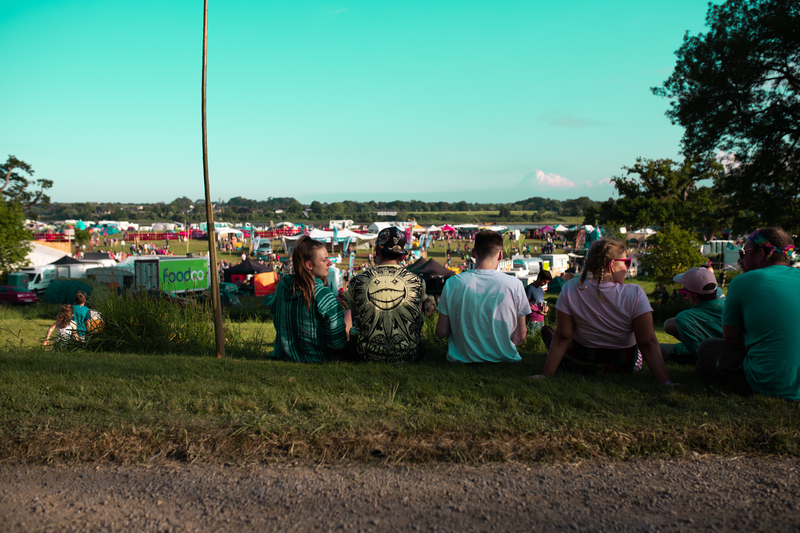 Vantastival is an easier festival to attend than most, with nothing more than a five-minute walk from your tent or campervan, and a relaxed and friendly vibe that is hard to find at many of the bigger events. How has the festival’s vision evolved over the years? 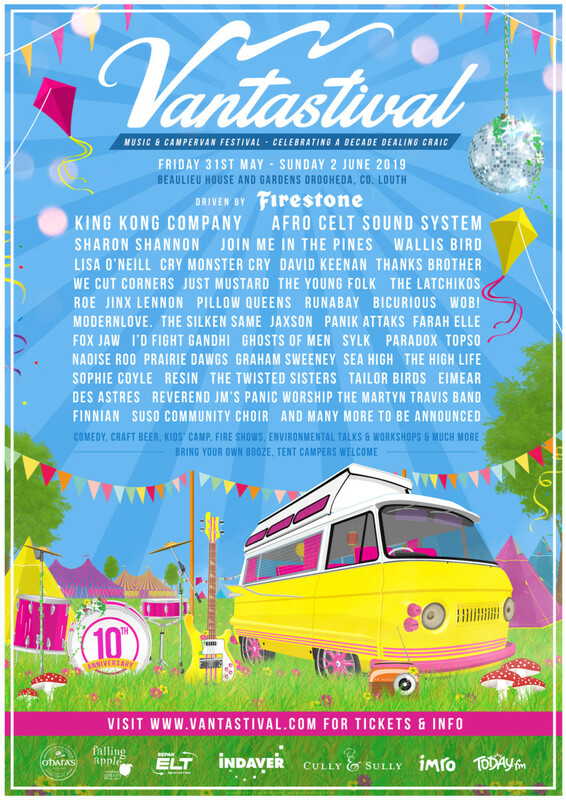 Vantastival was conceived as a campervan festival. We wanted to create something similar to the campervan festivals in the UK, but with much higher quality entertainment. The ones we had been to had cheesy covers bands aplenty, and we knew an Irish audience would expect better. So we created a festival which accommodated campervan owners in a way that no other Irish festival did, but with a killer line up. We learnt a huge amount about campervan owners in the first year, not least that they are generally a slightly older demographic than the typical festival crowd, and that loads of them bring children with them. So we started to but a bigger focus on making Vantastival family-friendly, which has worked well for us on so many levels. The large numbers of kids on site make for a more relaxed vibe all round and less messiness. In addition, we realised very quickly that there was a big demand from people in the North East area for a music festival so we had as many tent campers as campervanners. 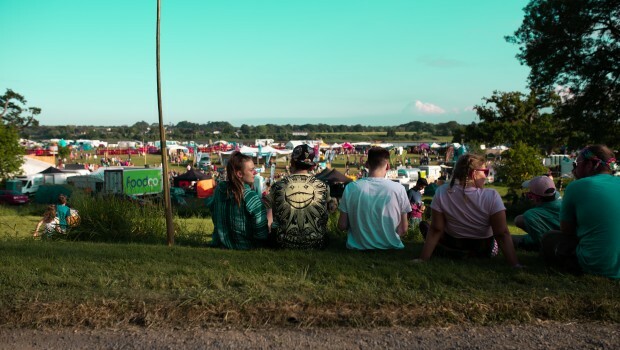 The focus shifted from being exclusively a campervan event to a music festival showcasing the best of Irish music, which is more campervan friendly than any other and incorporates the campervans into the décor and theme of the festival. We always try to introduce new elements to the festival each year. As our numbers increased, our budgets have increased, and we’ve been able to invest more into the visual side of the festival. We are blessed with a beautiful site which is a blank canvas that our creative team turn into a wonderland each year. Our newest and most pressing focus now as we approach 10 years is to work on making the event carbon neutral. We are introducing a lot of new initiatives in conjunction with our sustainability partners Repak ELT and Indaver. You’ve no doubt been very busy over the last few months gearing up for this year’s outing. How many people are involved in the day-to-day running of things at this stage? Year round there are two of us employed by the festival and it is a year-round job. We wouldn’t be working full time on it but we never turn off completely and would be ticking away while working on other things at the same time. We start properly planning each year’s event in the previous September, and get increasingly busy from then as the weeks pass. In addition to the two main organisers, there are two other shareholders in the company. 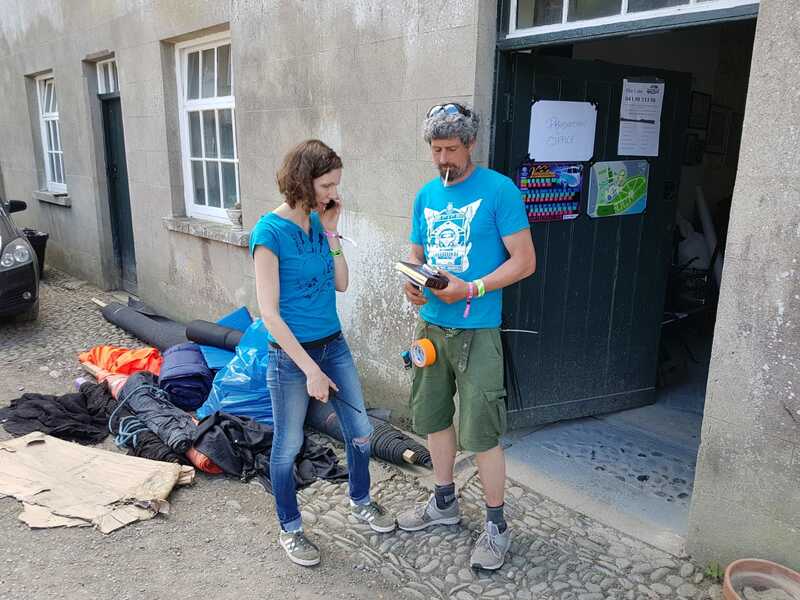 They are not employed by Vantastival but each have their own skills and help out a bit in the background with things like sponsorship and some of the logistical stuff in the run into the event. We take on an Artist Liaison to work with us from February to June and she advances everything with all the acts on the lineup, while also helping out with the marketing/social media side of things. I also have an intern on an Erasmus placement from France, who is helping on the admin side. That’s it at the moment, but with a month to go once the work starts on the festival site, the numbers grow every day. This year’s line-up is one of the strongest to date. How has it been coming up with a bill that caters to everyone, young and old? We have increased our budget for the line up each year and this year is the biggest yet. 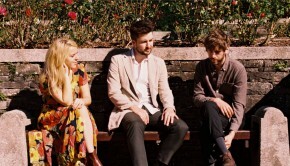 It’s great to be able to bring back some of our favourite acts from over the years for our 10th anniversary, particularly the likes of Dave Geraghty (Join Me In the Pines) who played our very first festival, Wallis Bird who played in year 2 and David Keenan, who had his first festival slot at Vantastival as a 20 year-old in 2014. We have always sought to have a diverse lineup, with a good range across the genres from electro and hip-hop to folk, trad and rock. It’s actually not too difficult to achieve that, with the wealth of talent that is at our disposal in Ireland. Vantastival is, of course, very family friendly. What does this year hold in store in this regard? As always, we’ll have our beautiful walled garden with scheduled kids’ activities all weekend. Kids can do everything from learning circus skills, to arts and crafts, yoga, sports and so much more. Outside of the walled garden there is also plenty to do for kids and families, with games, a funfair, various talks and workshops, and even an open mic session just for kids. We have a family campsite in a quiet area, but still just a short walk from the main arena, and we find that the kids at Vantastival also just love watching the music on all our stages. Our title sponsor, Firestone, will also have games for all ages around the Firestone Music Station, while the Cully & Sully Campervan Cook-off is always one of the most popular events for the whole family. Community and loyal relationships seem to form the backbone of your ethos. It’s something that comes with many years of hard rock, diligence and passion. Presumably that’s the biggest reward – seeing that all come together? Definitely. I have made friends for life through Vantastival. We don’t get to see much of the music during the festival because we’re too busy behind the scenes, but every year on the Sunday night the core crew all meet up to watch the Main Stage headliner. At that moment, when you’re looking around at what you have achieved and can share it with people you care about who have helped make it happen, that’s the magic moment when it all seems worthwhile. We all worked for free for many years before the festival started to become financially successful, and it took a long time and dedication from a lot of loyal people. We wouldn’t have made it this far without the community that built around us and the passion that we all share. 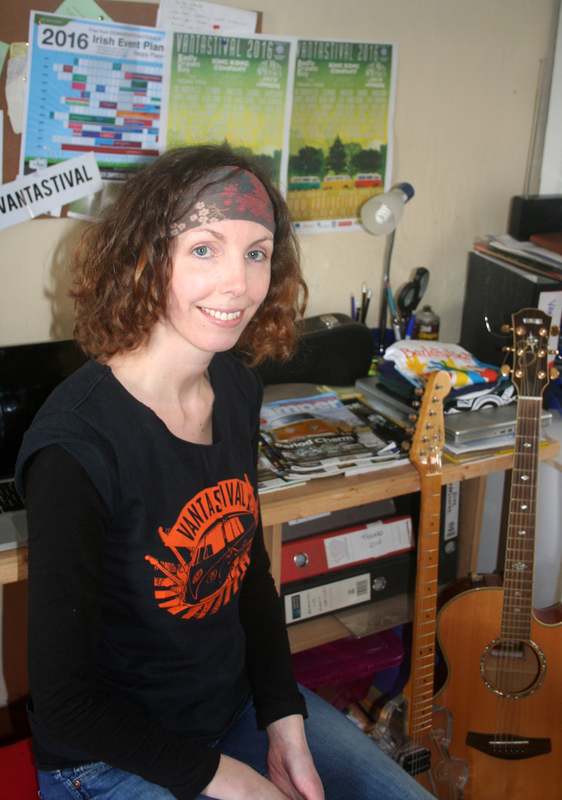 The success of Vantastival is a textbook case of ambition, hard work, knowledge and passion coalescing over many years. To anyone considering entering into the Irish festival industry – perhaps even starting their own event – what would be your one priceless bit of advice? The advice I give everyone is to start small. All festivals lose money in their first year, and most for several years before they reach that breakeven point. If we were to start all over again I would definitely start much smaller than we did. The second thing I’d say is that contacts are everything so make sure to volunteer or work at other festivals to build your contacts list and also to gain some insight into how much work is involved, which is a lot more than most people realise! Finally, for anyone sitting on the fence, what do you think will make this year’s outing an unmissable experience? This year is all about making our 10th-anniversary festival the best Vantastival yet for everyone who comes and is fully focussed on the attendee experience. I couldn’t pick out one thing, we are working on making every element on site that little bit more special so the whole package is an incredible weekend. We have a fantastic line up over four stages, a host of walkabout performers and quirky extras, and some wonderful art installations, while we also put a new focus on green issues with environmental talks and workshops in conjunction with our sustainability partners Indaver and Repak ELT. Most of all Vantastival is about the people you meet, all of whom make it the fabulously friendly, comfortably intimate and totally unique festival experience it is.